Mobil gas stations and convenience stores operate under the umbrella of the ExxonMobil Company, a major oil company based out of the United States. The Mobil brand of gas station is mostly seen through major metropolitan areas, as well as abroad in Australia and New Zealand. If you are interested, a Mobil application link and tips on how to apply for jobs at Mobil below. The company’s origins stretch back to 1911, when Standard Oil broke up into 34 smaller companies, including the Standard Oil Company of New York, which first registered “Mobiloil” as a trademark in 1920. 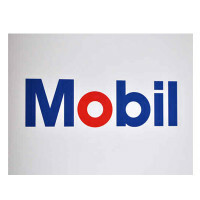 Over the next century, the company flourished, and eventually changed its name to Mobil in 1963. In 1998, the company merged with Exxon to become the powerful industry force it is today. According to their website, Mobil values competitive, resilient employees who are able to solve problems and grow with the industry. They express interest in a diverse workforce. Mobil believes in helping employees develop their skills and reach their long-term career goals, whatever those may be, by providing a wide range of assignments that enable employees to grow beyond their initial job description. Today, ExxonMobil is a major player in the oil and gasoline industry, and with Mobil continuing as a major brand name inside the company. It includes several brands of motor oil, ranging from personal to industrial use, as well as operating gas station locations all over the United States and abroad. If you are interested in a career with Mobil, scroll to the bottom for information about how to apply for Mobil online. Mobil jobs cover a wide range of responsibilities, from retail positions in gas stations all around the country all the way up to high-ranking corporate jobs. Hiring for Mobil jobs online is open to people at all levels of experience; the direct application system includes a portal intended specifically for college students seeking internships or full-time employment, as well as a separate one for established professionals. Not available through the online application form are the entry-level retail positions. If you are interested in these, your best bet is to head down to your local Mobil station and ask for an application form, or how to apply online for that location. They will be able to give you more information about working for that particular store. How old do you have to be to work at Mobil? You have to be 18 years old to work at any Mobil gas station. Many corporate or engineering jobs require advanced degrees. Mobil gas stations operate 24 hours a day, 7 days a week, and you can be hired for any of those hours. Corporate jobs tend to fall more into the usual business hours, but are not restricted to those. Mobil offers full health coverage as part of its benefits package. Depending on the laws governing spousal relationships in your country, they may also extend your benefits to cover your spouse. Full-time employees may also qualify for retirement plans, pensions, or life insurance – you can find out more when interviewing for the job you are interested in. Station Attendant – Station Attendant is a primarily customer service position. Responsibilities include checking out customers quickly and accurately and maintaining a good attitude throughout, as well as stocking product, recording sales data, and making sure the store stays clean and organized. Pay for station attendant positions ranges from minimum wage up to about $9 per hour. Station Manager – Station Managers, much like retail store managers, are responsible for supervising employees and making sure their store runs smoothly and accurately at all times. In addition to customer service, station managers are responsible for scheduling, payroll processing, opening and closing procedures for their store, and more. Station managers generally make around $10 an hour; annual salary for the position tends to be about $30-40k a year. Electrical Engineer – Based out of ExxonMobil factories rather than out of gas stations, electrical engineers are responsible for designing and maintaining the electrical systems for all plant operations, including instrumentation and control systems. They are expected to be creative and proactive in their work, as well as a reliable part of the team. Electrical engineer salaries are upwards of $100k per year. Machinery Specialist – again operating out of ExxonMobil factories, machinery specialists are responsible for supporting the machinists and engineers with the upkeep and maintenance of factory equipment. They are the first response to technical problems, and must be proactive to keep factory routines from being disrupted when a problem arises. They make around $50-60k a year. How do your values line up with those of Mobil/ExxonMobil? The interviewer wants to know if you’ve done your homework and know the basics of what the company values. They also want to see if you’ve put thought into why you want to work for Mobil in particular. Be sure to look up the company’s values and practice your answer to this beforehand so you speak clearly and sincerely. What is your schedule like/are you comfortable working overnight shifts? One of the primary things Mobil employers are looking for is an open, flexible schedule to cover the full range of hours. Be honest about potential conflicts. If you have concerns about your safety on overnight shifts, it is okay to turn this question around and ask about what sort of safety precautions are in place if you are going to be working alone at night. Tell me about an accomplishment or skill you’re particularly proud of. The interviewer wants to know what skills you value in yourself, as well as seeing if you are aware of your own strengths and weaknesses. It’s not a bad idea to practice this question ahead of time to make sure you don’t sound like you’re bragging, and to make sure you have an example prepared. Tell me about yourself. The quintessential interview question, this is a way for the interviewer to figure out what your priorities are, what parts of your background are particularly important to you, and to watch for discrepancies between what you say and what is on your cover letter or resume. Again, rehearse this ahead of time. Make sure it is not too long or too short – the former will bore the interviewer or make you seem self-centered, and the latter may suggest that there’s something about your history you don’t want to talk about. How did you get into the industry? Similar to previous questions, the interviewer is trying to find out what interests you about the oil industry and what your priorities are. They are also looking to find out if you would just settle for any similar job in any industry, or if you are specifically interested in the company or the industry for a specific reason. If you are interested in Mobil careers, the ExxonMobil website has a link to an online portal where all current job opportunities are listed, though it notably does not include location-specific gas station jobs. Mobil does not use a printable application form, nor can you download application form; instead, you must register for an account on the site so that you can submit your free application and resume to the hiring department. There are many Mobil jobs available at any given time, so the website is designed to help you narrow down the opportunity that is right for you. The first division asks you to determine whether you are a student looking for an internship or full-time employment, or if you are an experienced professional. From there, you can filter results by location, job type, and title. You can submit multiple applications through the site, but you are asked not to submit an online application to the same job more than once. There is an exception where if your qualifications change you may resubmit, but in general it is best to accept a no and move on to another opportunity. If the employment officer finds your Mobil application to be appropriate, you will be contacted for an interview. Make sure to wear appropriate, formal clothing to the interview. While there is no printable application for Mobil to bring along, do bring a copy or two of your resume printed on quality paper to use as a reference or give to the interviewer to remember you by. It is recommended that you practice your answers to the questions above and any others that you can imagine being asked in advance, but be careful not to take it too far. If you sound like you are just rattling off a memorized answer, it can negatively affect your results. Also, be prepared with questions of your own about the company or the job, especially if something in the job description particularly interested or confused you. Lastly, be sure to bring a positive attitude, and thank your interviewer for their time and consideration at the end of the interview. If you have a contact e-mail, sending a follow-up a couple of days later reiterating your interest in the job and how nice it was to meet them is generally a good idea. Good luck! Stripes: Visit the job application for Stripes to apply today. Conoco: Conoco offers opportunities for both, beginners and experienced roles. Murphy USA: Use the Murphy USA job application to apply here. Pilot Flying J: Visit the job application for Pilot Flying J to apply today. Circle K: Checkout the application page for work at Circle K.